This is an outdoor 20-26kW condensing oil boiler. It has an ErP A efficiency rating. The boiler is built using premium grade steel. 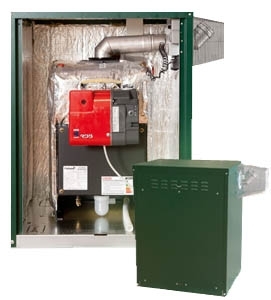 These boilers come with a removable back panel for easy access. 3-tapping points for ease of installation. Removable back panel for easy access.